MIMS, Florida - Just before 8 p.m. on Sunday, Brevard County Sheriff's Office Deputies responded to reports of a shooting at a Raceway gas station located at 2455 North US 1 in Mims, Florida. 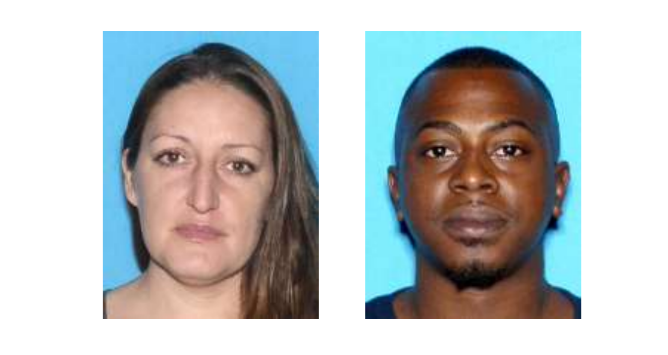 Upon arrival, deputies discovered 32-year-old Maurice Lavell Jackson, of Winter Springs deceased at the scene from a gun shot wound while his girlfriend, 36-year-old Kristy Michelle Brunson of Altamonte Springs, was in critical condition due to a gun shot wound. Just minutes later, Brunson succumbed to her wounds while being prepared by Brevard County Fire Rescue for a medical helicopter transport from Mims Elementary. After investigating the incident and interviewing witnesses, Sheriff’s Office Agents believe this to be a murder-suicide. Investigators say that the incident appears to be isolated and all parties involved have been identified. Anyone with information about this incident is asked to please contact the Brevard County Sheriff’s Office Homicide Unit via the Sheriff’s Office Communications Center at (321) 633-7162, or CRIMELINE at 1-800- 423-TIPS (8477), you can also visit http://crimeline.org/, or text ‘crimeline’ plus your tip to CRIME (274637). All information to CRIMELINE is confidential and you may be eligible for a reward.